In the past several months that I have been doing customs, I have found myself to fall deeper and deeper in love with the hobby. Not necessarily just custom making, but collecting in general. 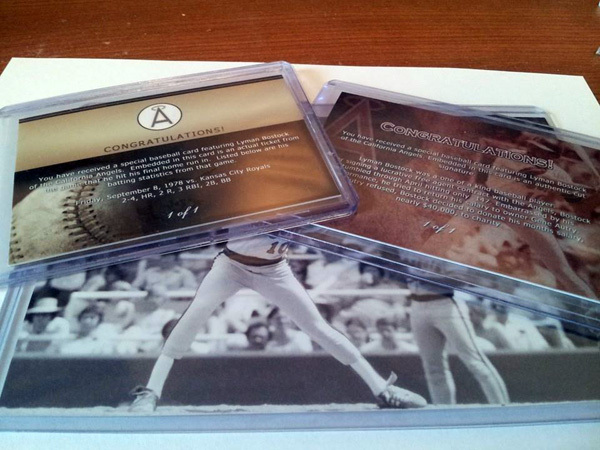 In some ways, I see custom card creation as the next evolutionary stage in collecting. A sort of way to create THE card that no one else has or will, with material that means so much to you. For me, it is difficult to keep things that are odd shaped. I’ve said it before and I’ll say it again … everything is better when it measures 2.5″ x 3.5″! Custom card making can revive old relics that are old and tattered, and become a truly unique one-off high end pc card. That is what is so cool about it! 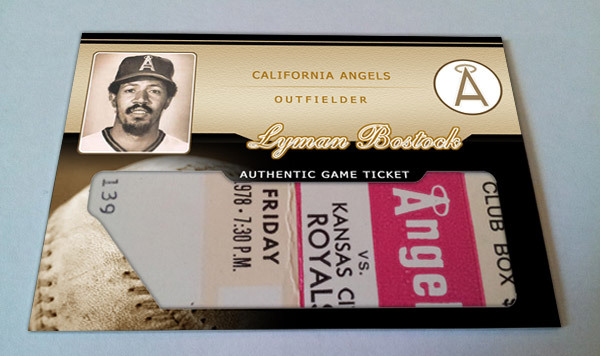 I was approached recently by someone who wanted a few customs done of his favorite player: Lyman Bostock. I literally had no idea who this guy was. Well, come to find out, not only was he a good ball player, but he also sounds like a stellar guy. Allow me to give a little bit of background on him: it is very interesting! 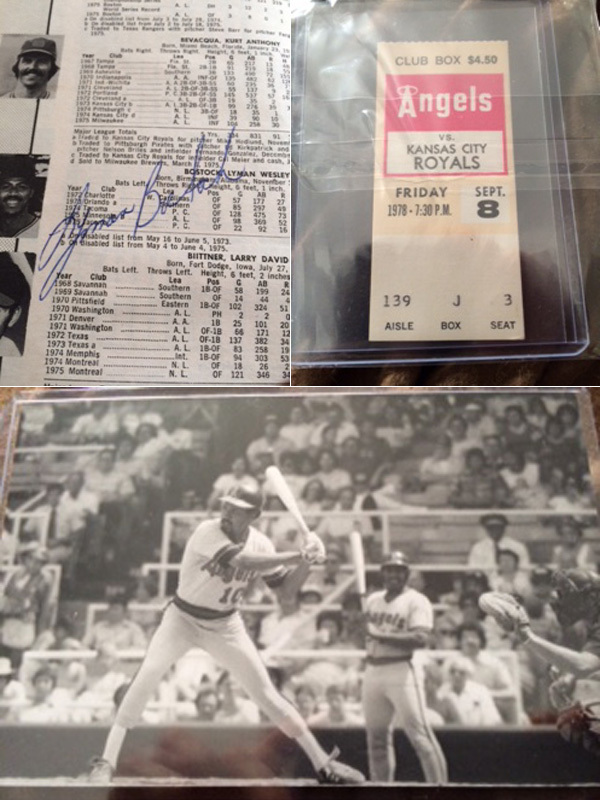 In about 4 seasons or so in the mid-late 70’s, he hit over 300 for his career. He was in the discussion for batting title various times as well. At one point, he was one of the higher paid players that were free agents. 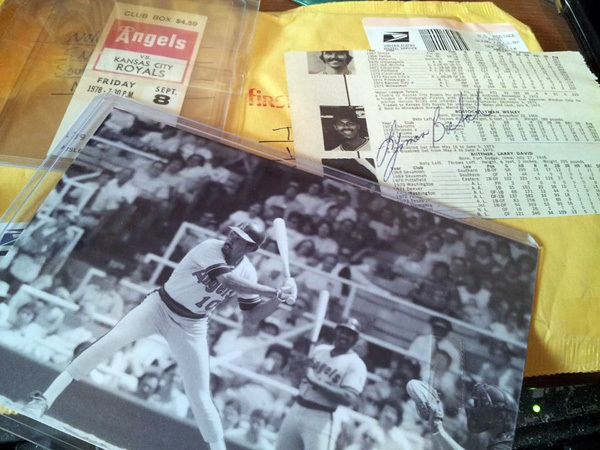 When the Angels signed him, he immediately gave $10,000 to his church to help rebuild their Sunday school. In April, he batted poorly … a bismal .150. He went to Gene Autry and said he hadn’t earned the money so he didn’t want it. 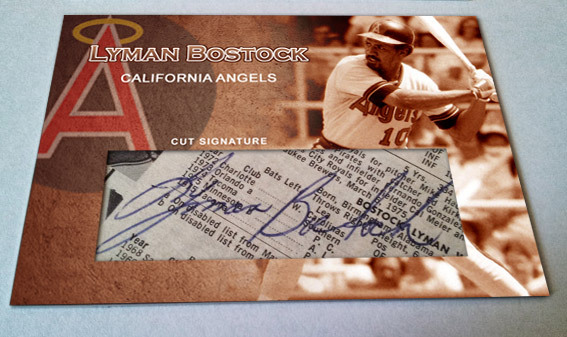 Autry refused this, and Bostock proceeded to take the $40,000 and give it to charity. In June, he returned to form, hitting over .400 for the month. His life was suddenly and tragically ended when sitting next to the wife of a man whom suspected she was cheating. The man tried to shoot her, and ended up shooting Bostock in the head. Bostock died. 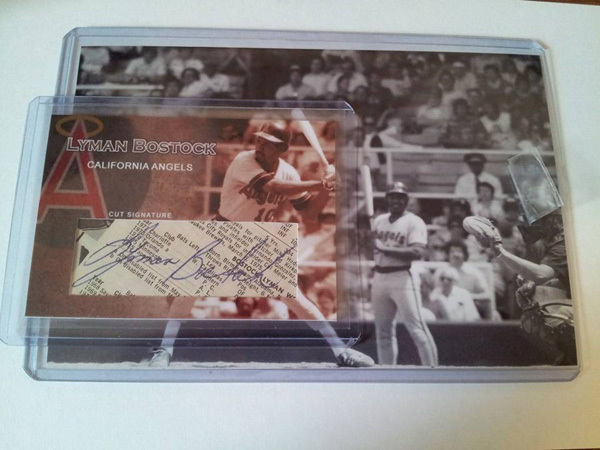 His picture, a ticket stub to the last game Bostock hit a home run in, and his autograph. Naturally, the backs had to have a congratulatory message, as if they were pack pulled! I can't stop looking at them. They are perfect. Can't wait until they arrive. Thanks again! That's what I like to hear! I am thankful you had me do them – I love them also.